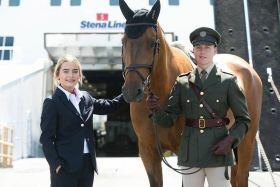 Stena Line has confirmed it is title sponsor of the Dublin Horse Show for the next two years. The Show is not only the highlight of the equestrian calendar in Ireland but it is also one of the most iconic social events of the year attracting over 100,000 visitors each year to the famous RDS venue. This year’s event takes place from 8th to 12th August at the RDS and in addition to world class international equestrian competitions it will also include a range of other activities, including over 300 shopping stalls, roving entertainment, food and drink outlets around the grounds and National Show Jumping finals for all ages. Over 1,500 horses and ponies will compete across 132 classes and competitions during the five-day event.